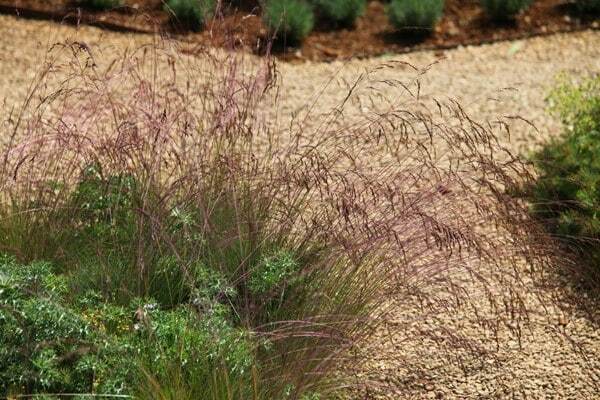 A low-growing tufted decorative grass, which looks superb planted in bold drifts or potted into a container. The narrow blue-green to grey-blue foliage and purple-flushed summer flower spikes are a wonderful combination. Garden care: Comb through the plant in winter to remove dead foliage. I have used before in country garden, but now in more modern surroundings this is ideal in my grass & gravel bed. Probably not buy again. Habit is rather flat. I wouldn't buy my plants from anyone else. Brilliant. Crocus plants have made a once neglected garden look lovely. Another beautiful grass. Graceful and a nice addition to my mixed border. I love the movement and gentle sound that this adds amongst my other flowers and shrubs. Very pleased with the service from crocus. excellent plant quality, prompt delivery, well packaged healthy plants. Don't bombard you with marketing and have a stylish quite arty brochure a bit like a lovely glossy magazine. So crocus are a bit different than everyone else. great to deal with. This has got to be one of my favourite's, so easy to grow, mine is now a year old and have just re-potted into it's final grown up pot, the flowering stems are a stunning colour and so light and airy, mine is at least 60 to 70cm in flower, the green grass with the purple flower fronds are a lovely combination. I just brushed through to remove the dead grass, fully hardy and a plant that I would recommend. I was waiting to see how well this would do, I am now going to purchase more for the side of a gravel path, think this will look perfect in such a location. Hello, I'm afraid I don't know if this plant is suitable for your garden, but one thing they do need is a freely draining soil, so if yours holds water for any length of time, then you may be better off with something else.